Verra Kitchen takes pride to introduce the first & only "Cerra" product which originated from Europe. 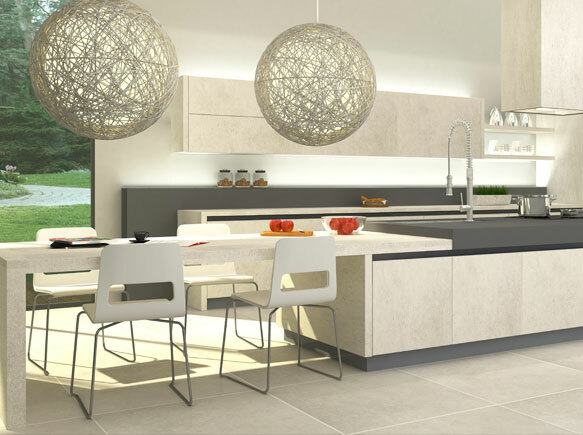 Cerra is a product made of large mineral porcelain ceramic slab. It is 100% natural product. Undoubtedly Cerra brings a revolution into world of kitchen's worktop. This is also the material which is suitable for making kitchen door and wall cladding besides making worktops. Thus Cerra ensures kitchen durability over-time with low maintenance.